Pick the perfect box for your merchandise. Is there a better alternative to ShipBox? Is ShipBox really the best app in Inventory category? 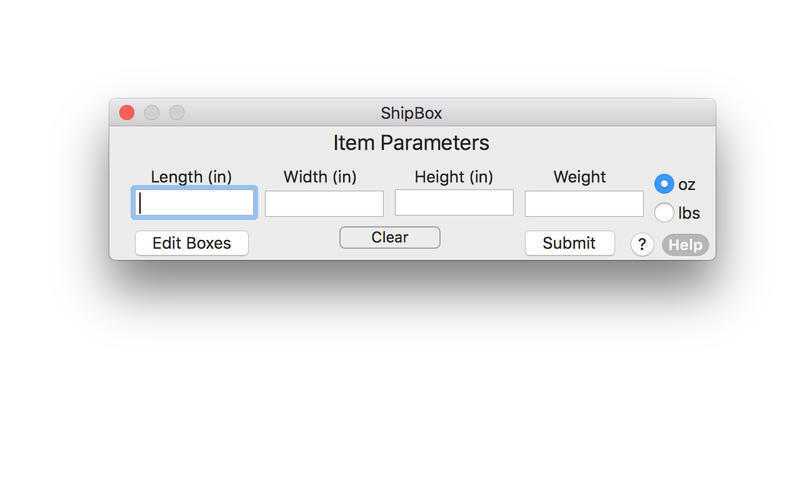 Will ShipBox work good on macOS 10.13.4? 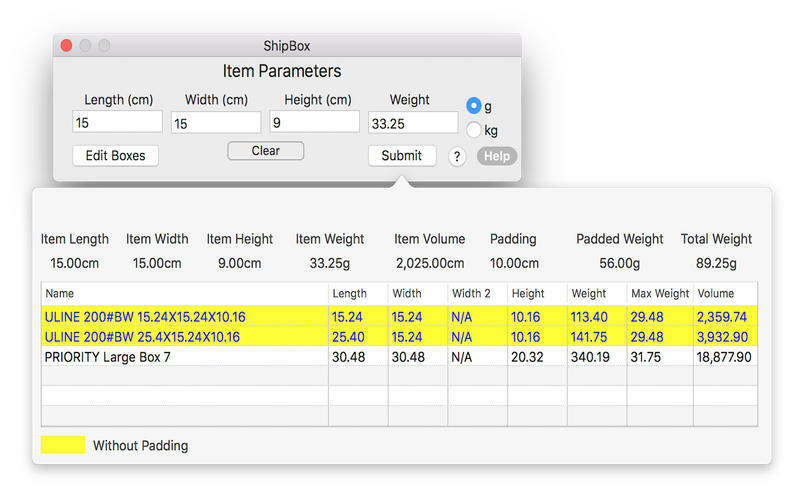 ShipBox is the program that picks the perfect box to ship your merchandise. 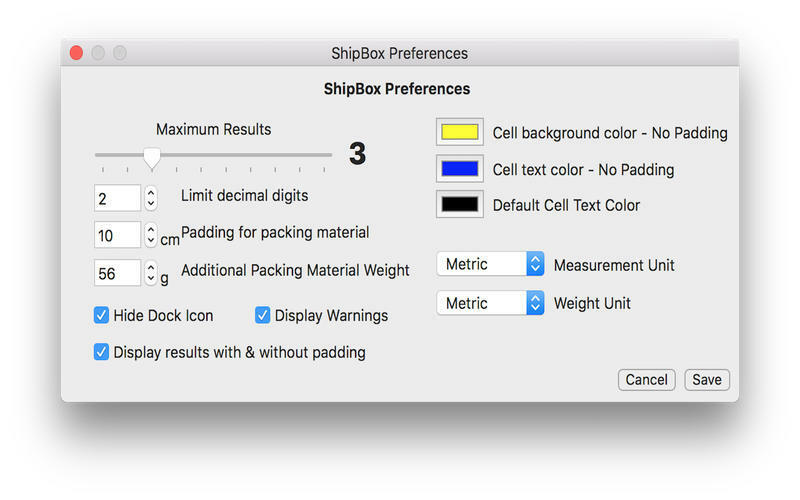 We designed ShipBox to ease the burden of figuring out the best box to use when shipping certain items that could have multiple box choices. 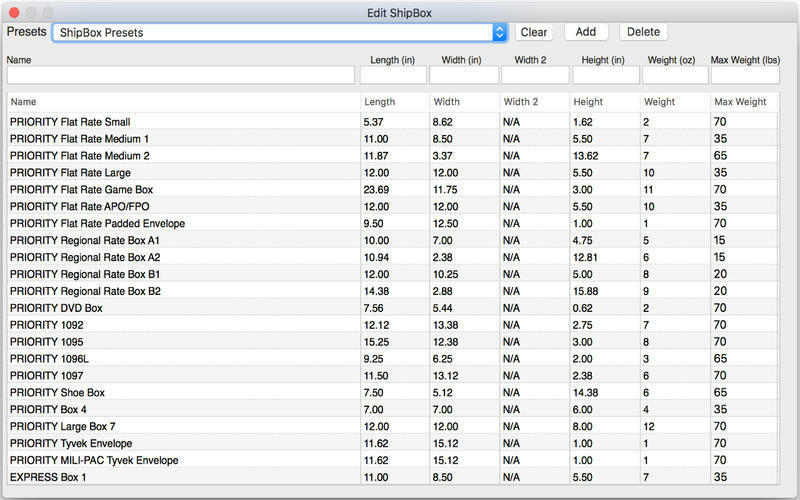 Instead of having to do the math and figure it out for yourself, we designed ShipBox to do that for you. ShipBox is especially helpful if you use calculated shipping on a marketplace, so the buyer will pay the correct shipping for the size, weight and distance. Note: The demo version is currently at 1.3; the version available for purchase is 1.2. Switched from using external sql database to internal user defaults. Fixed crash when showing Pad/No Pad Results with max results set higher than 6. Internal code changes to match mobile version. Setting up structure to add new features that mobile version will have. ShipBox needs a review. Be the first to review this app and get the discussion started! ShipBox needs a rating. Be the first to rate this app and get the discussion started!